A day to honor the victims of Extreme Poverty and Exclusion and to renew our commitment to overcoming extreme poverty. In the Philippines, it is known as the International Day for the Eradication of Extreme Poverty. 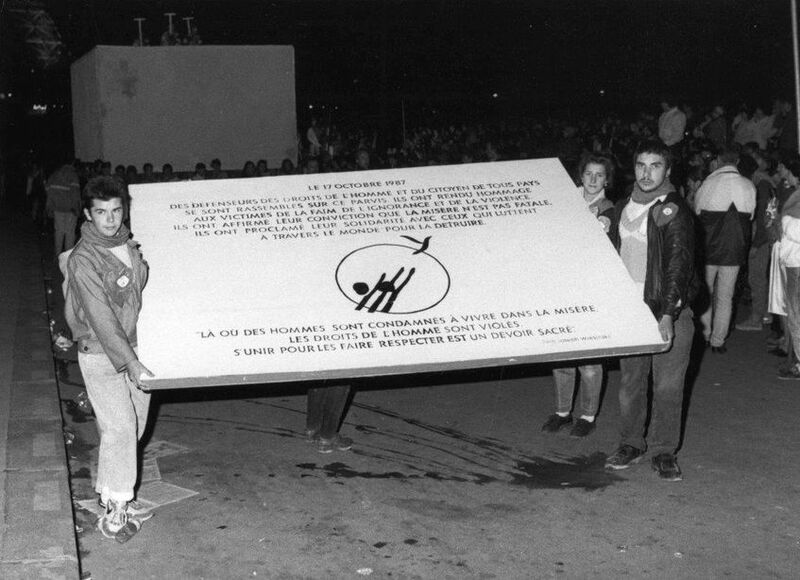 The first World Day for Overcoming Extreme Poverty dates back to October 17, 1987 when our founder Father Joseph Wresinski invited French citizens to gather at the Human Rights Trocadero Plaza in Paris. Over a hundred thousand people from different socio-economic backgrounds heeded his call. 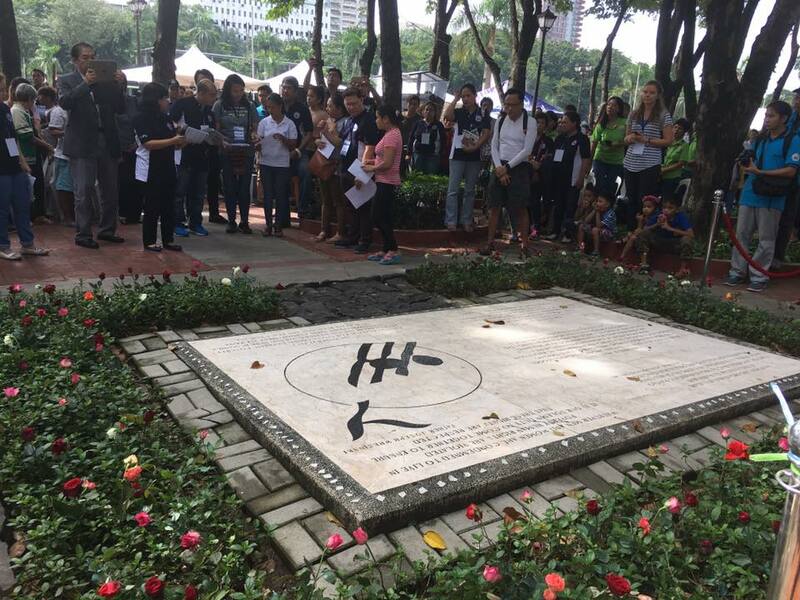 A Commemorative Stone marker was installed in Trocadero Plaza to honor victims of extreme poverty and exclusion. December 22, 1992 – The United Nations General Assembly declared October 17 as the International Day for the Eradication of Poverty (Resolutions 47.196) and called for its observance by all countries. October 4, 1993 – In response to the United Nations resolution, former Philippine President Fidel V. Ramos signed Proclamation No. 269 on October 4, 1993 declaring October 17 as the National Day for Overcoming Extreme Poverty. October 17, 1993 – President Fidel V. Ramos unveiled a replica of the Commemorative Stone or “Bato ng Buhay” (Stone of Life) at Rizal Park. Its replicas have been installed in various cities like Davao (1994), Oroquieta (2001) and municipalities of Esperanza, Agusan del Sur (2007), Barotac Viejo, Iloilo (2008), and Buenavista, Quezon (2008). 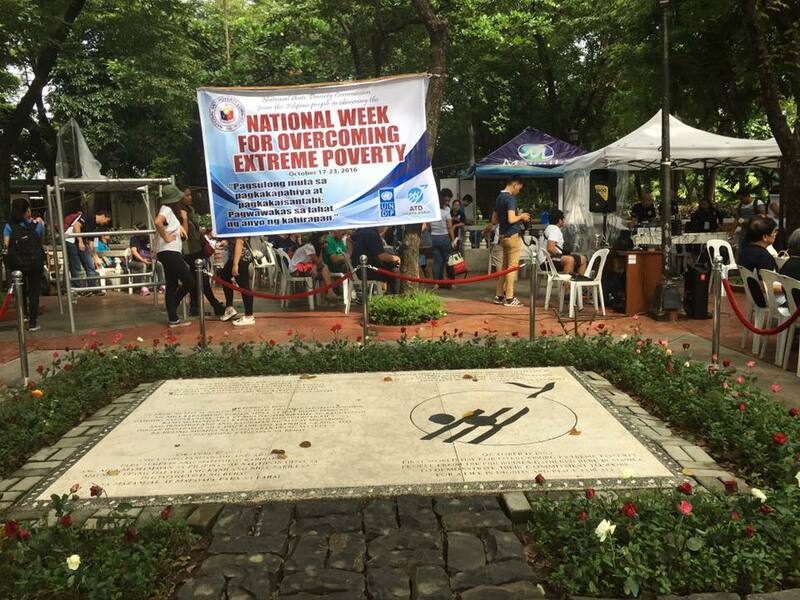 October 18, 2004 – Former Philippine President Gloria Macapagal – Arroyo signed Proclamation 717 declaring the period of October 17-23 as the National Week for Overcoming Extreme Poverty (NWOEP). 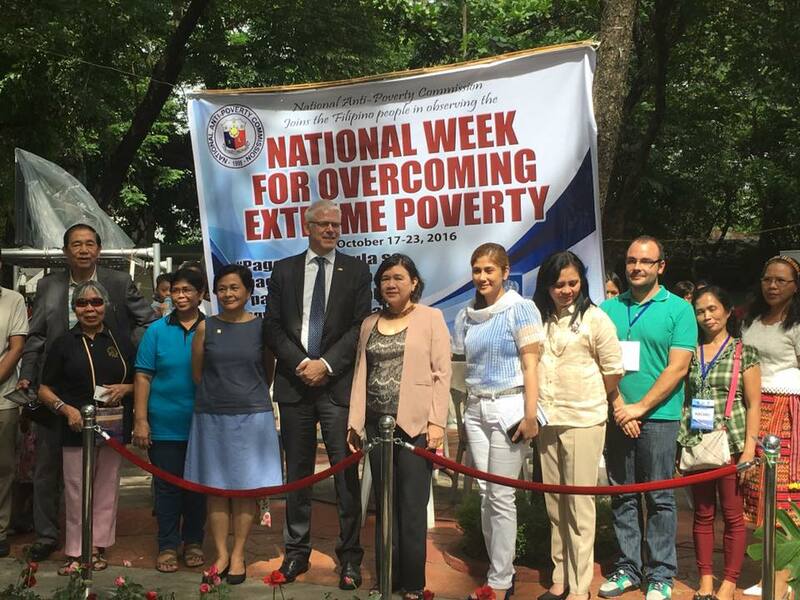 The Proclamation designated the National Anti-Poverty Commission (NAPC) to lead, coordinate, monitor and evaluate the nationwide yearly observance of NWOEP in coordination with key partners and stakeholders in poverty reduction. The Catholic Bishops Conference of the Philippines (CBCP) dedicated the 2nd Sunday of October to a day for honoring efforts to eradicate extreme poverty. Since 1988, we have been commemorating October 17 by inviting people from all sections of society to gather and to renew the call for a shared commitment to overcome extreme poverty. Why the need to commemorate October 17? To remind the public about the principles espoused by Father Joseph–that extreme poverty is a violation of human rights. To remind people to respect the human rights, dignity, and freedom of people living in extreme poverty and exclusion. To recognize and appreciate the initiatives of the poor communities and various government agencies to uplift the lives of Filipinos. To invite more people and organizations to join us in the fight against poverty. Each year, in partnership with NAPC, National Parks Development Council, and the City Government of Manila, we organize activities to commemorate October 17 in Rizal Park. In the recent years, the United Nations has joined us in our activities.